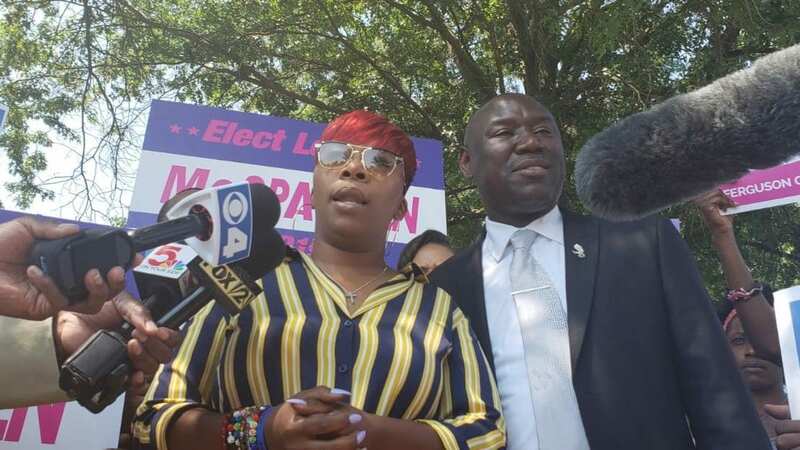 Lezley McSpadden, whose son Michael Brown was fatally shot by a police officer in Ferguson, Missouri, four years ago, announced that she is running for city council in the St. Louis suburb of Ferguson. Four years after Brown’s death, McSpadden made the announcement this afternoon. McSpadden’s announcement comes on the heels of another game-changing candidate, Wesley Bell, who beat out incumbent St. Louis County prosecutor, Bob McCulloch in the Democratic primary. McCullouch was criticized for how he handled Brown’s case and was accused of being “buddy buddy” with police. McSpadden says Bell supports her candidacy and inspires her. “Seeing him win for St. Louis County prosecutor gave me hope that I can do this. That I can state adversity in the face and be the change my son needs,” said the 38-year old McSpadden. McSpadden says she wants to use her platform to advocate for economic equality, access to health care, and a topic which surely hits close to home — community policing. “One of the things that I know to be true; the people who are employed as police officers do not live in this area, they are not familiar with the community or a regular John Doe who walks to and from the store. That’s a big issue.” McSpadden told theGrio. McSpadden says she will advocate for building better community relations.